Western blot analysis of whole cell lysates probed with p53 antibody followed by detection with Goat anti Rabbit HRP conjugated (1/10,000, STAR208P) and visualized on the ChemiDoc MP with 3 second exposure. Arrow points to p53 (molecular weight 53 kDa). p53 antibody recognizes tumor protein p53 also known as TP53 or tumor supressor p53. Rabbit anti Human p53 antibody recognizes tumor protein p53 also known as TP53 or tumor supressor p53. This gene encodes a tumor suppressor protein containing transcriptional activation, DNA binding, and oligomerization domains. The encoded protein responds to diverse cellular stresses to regulate expression of target genes, thereby inducing cell cycle arrest, apoptosis, senescence, DNA repair or changes in metabolism. Mutations in this gene are associated with a variety of human cancers, including hereditary cancers such as Li-Fraumeni syndrome. Alternative splicing of this gene and the use of alternate promoters result in multiple transcript variants and isoforms. Additional isoforms have also been shown to result from the use of alternate translation initiation codons from identical transcript variants (PMIDs: 12032546, 20937277) (provided by RefSeq, Dec 2016). 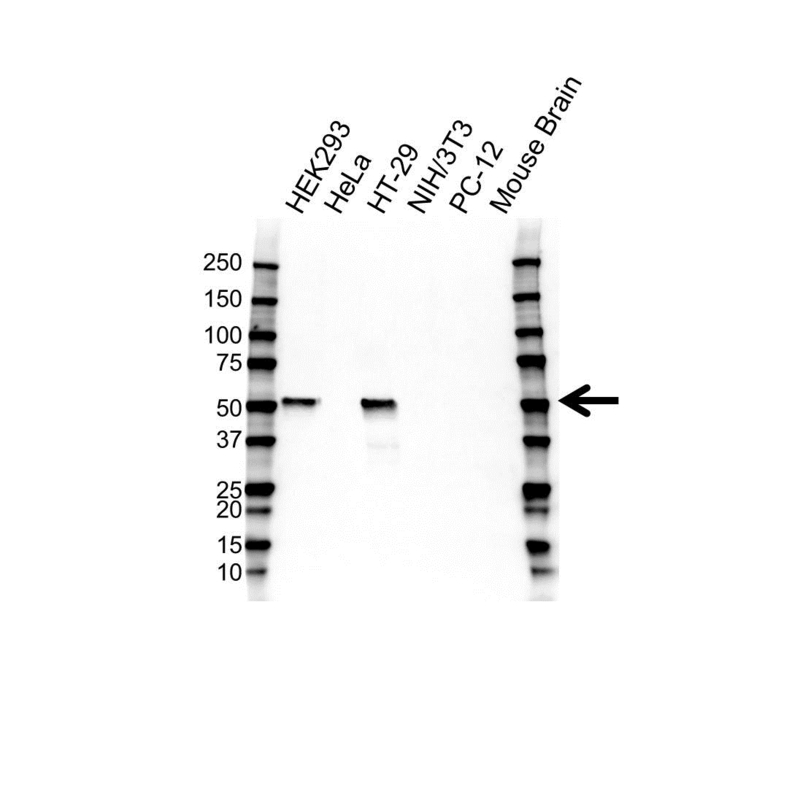 Rabbit anti Human p53 antibody detects a band of 53 kDa. The antibody has been extensively validated for western blotting using whole cell lysates.